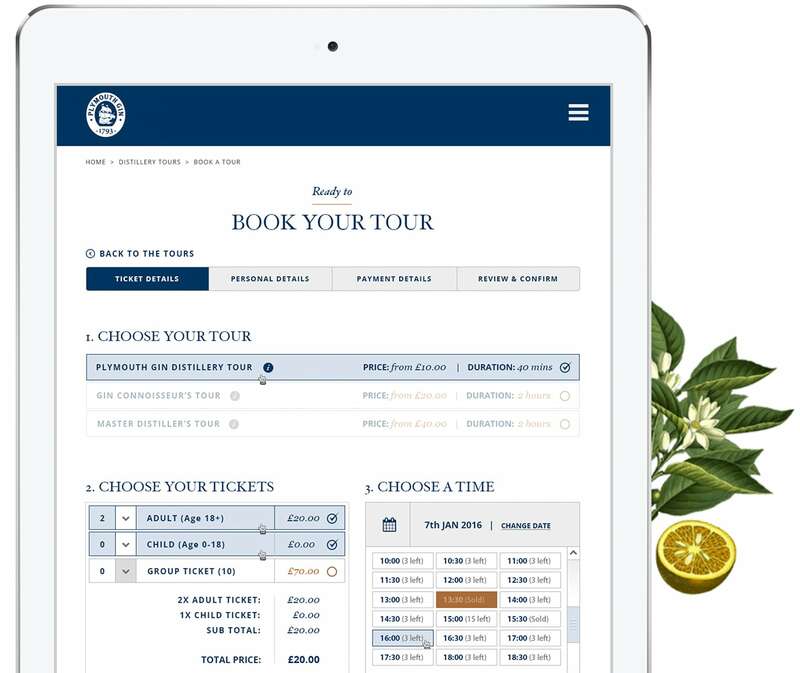 We were given two clear objectives; build an online tour booking system that’s easy for visitor centre staff to manage, and a website that increases online tour bookings. 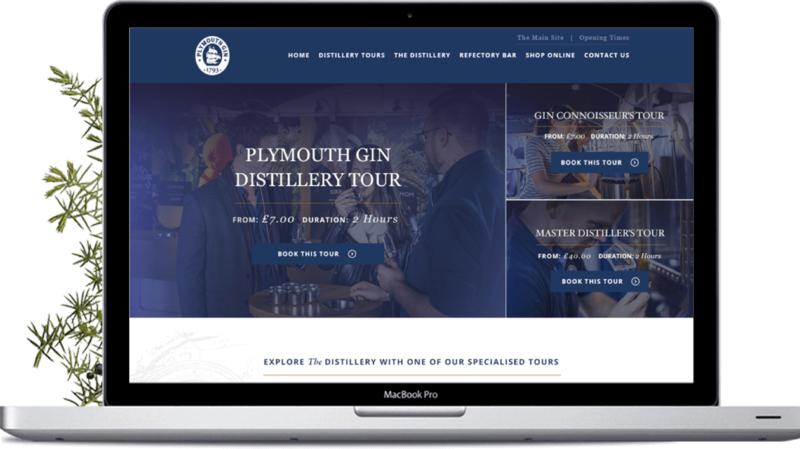 We developed an innovative tour booking system that transformed the user experience of booking a distillery tour and buying a bottle of gin online. 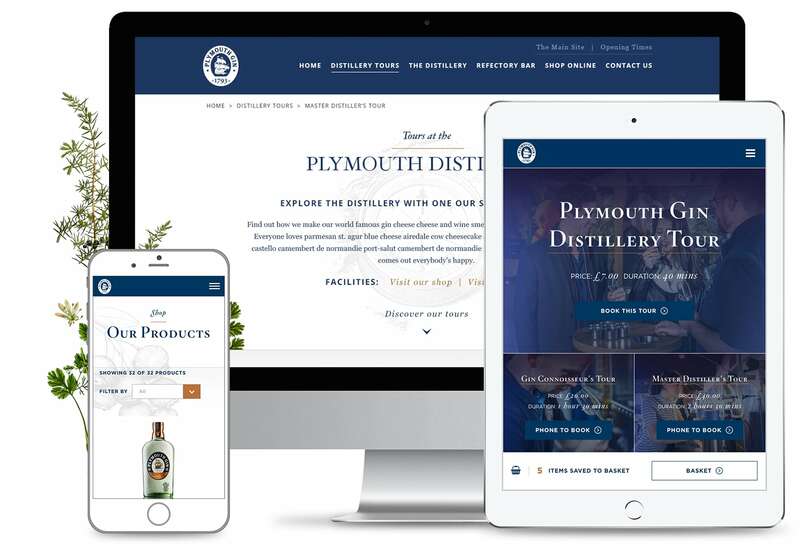 Working with the brands assets, we gave Plymouth Gin a brand new mobile platform design. 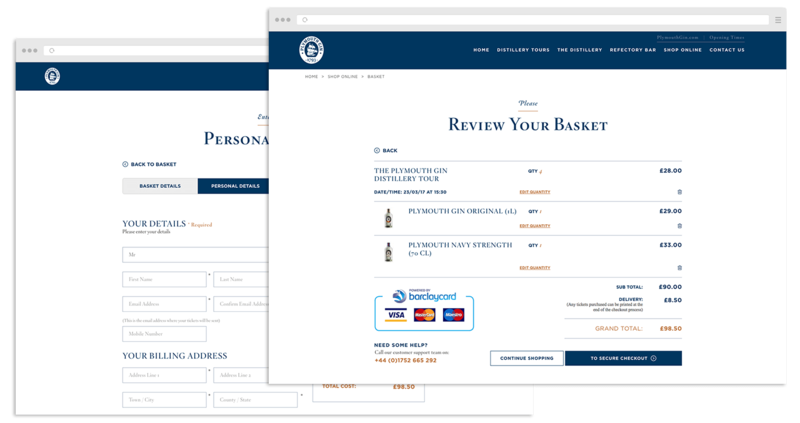 To allow tour bookings and products to be purchased at the same time, we developed a dynamic checkout process, making the purchasing process seamless. 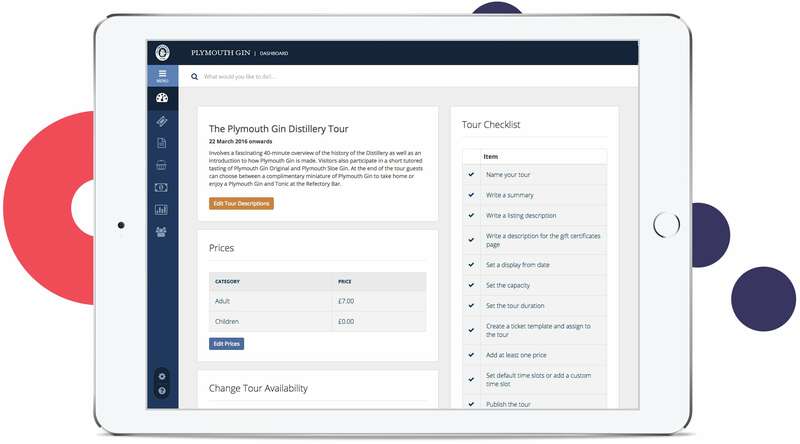 Customers can purchase tours as a gift, even adding a bottle of gin to the gift order with it. The recipient can choose their preferred tour date online, making gift redemption really easy. Admins can easily create group discounts, giving customers a cost reduction if they purchase a certain quantity of tickets. Admins have full control of tours. Through the system they can manage online and till bookings, including availability control, manual bookings and adding/editing tours. in tour bookings and product sales within 3 months of launch.